The Left has led sickening celebrations in response to the death of former Conservative Prime Minister Margaret Thatcher. MP George Galloway led the way with a crass tweet, while at the NUS National conference in Sheffield there were cheers when her death was announced. A joyful Labour councillor posted a bottle of Bollinger in celebration Twitter as Durham Miners’ Association announced her death was a ‘great day’ for coal miners. His response after her death from a stroke earlier today, was met with disgust by many users on the social networking site. Well, that is just par for the course for a known anti-semitic bigot like Galloway, who never met an Islamist he didn’t like. A Facebook campaign has been launched to take Judy Garland song ‘Ding Dong! 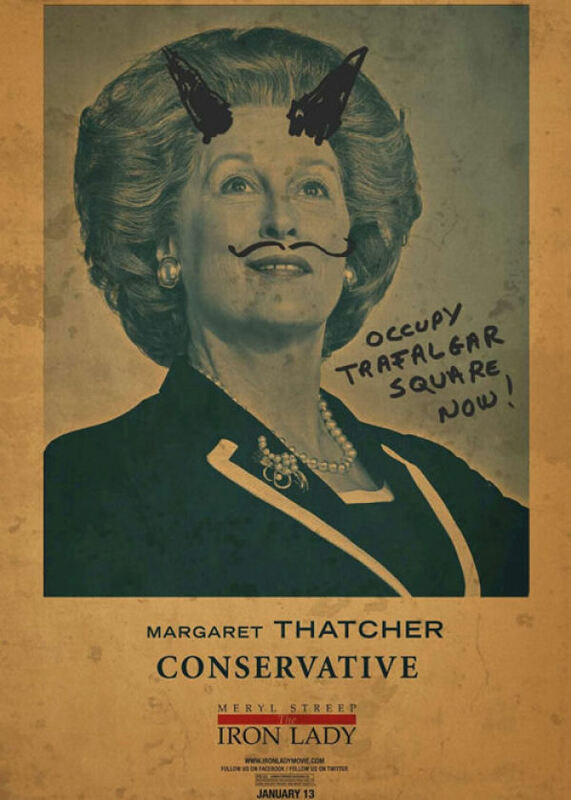 The Witch is Dead’ to number one following Margaret Thatcher’s death. A series of pages urge people to buy MP3 downloads of the song, which features in 1939 musical The Wizard of Oz. One, called Make ‘Ding dong the witch is dead’ number 1 the week Thatcher dies, already had 590 members by 1.30pm with numbers rapidly rising. Baroness Thatcher’s policies were ‘fundamentally wrong’, former London mayor Ken Livingstone said today. He told Sky News the former Conservative prime minister was responsible for ‘every real problem’ faced in the UK today, as he claimed she had led millions of people out of work. Evidently, Livingstone believes it better to spread lies and take political cheap shots rather than behave with a modicum of dignity. James Day Hodgson, U.S. Ambassador to Japan from 1974 to 1977, once wrote, “The capacity to make the right enemies is part of genius.” In that regard, as in so many others, Baroness Thatcher was quite a genius indeed.